To pay your payroll liabilities means you want to settle part or full liabilities balance arising from employee payroll deductions like employee pension, contributions, insurance etc., which are payable from your bank account to relevant agencies for a specified period. 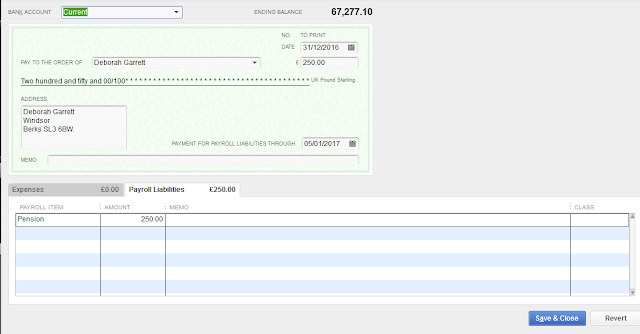 If you have read my post on how to set-up payroll items in QuickBooks, add and pay employees in QuickBooks, you should have familiarized yourself with most of the key task involved in QuickBooks Payroll. 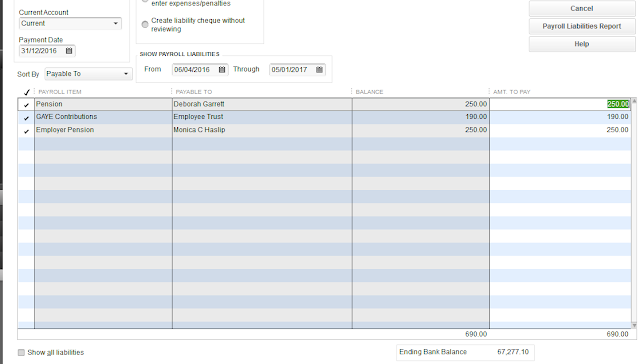 I am assuming you have already integrated QuickBooks Payroll for your business. 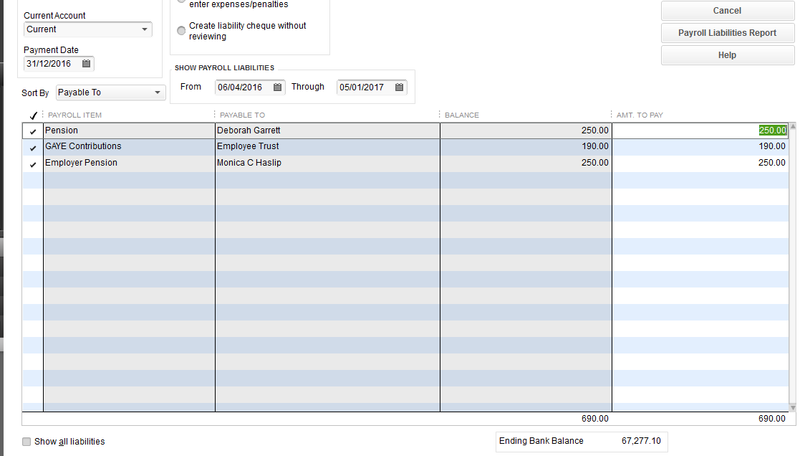 Use this window to process your liabilities payment in QuickBooks. Select the current account from the drop down menu, liabilities you want to pay, payment date and enter the amount you want to pay for each of these payroll items under 'Amt to Pay'. Click Review at the Top Right corner of your window. Review your cheque and click save and close.